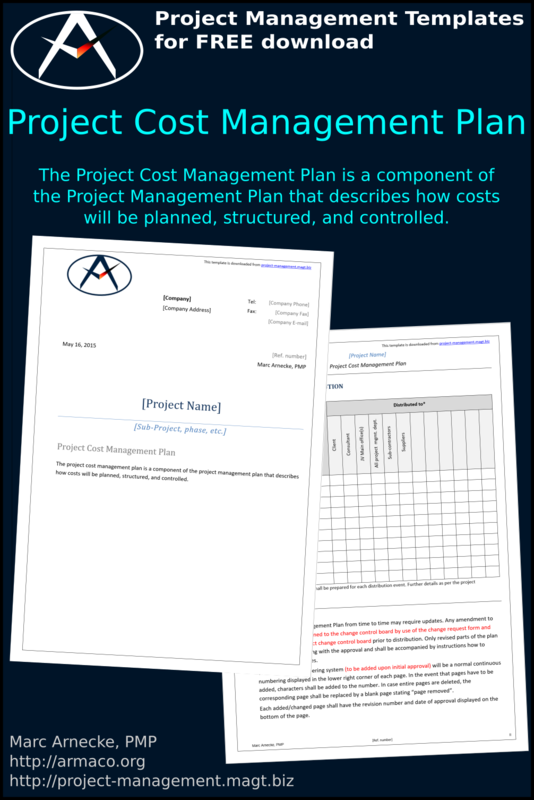 The Project Cost Management Plan is a component of the Project Management Plan that describes how costs will be planned, structured, and controlled. Interested to Know How to Manage Project Cost the Right Way? Well, obviously you want to know, otherwise you wouldn't be here and getting information about cost management. Managing the cost of a project is often one of the biggest challenges. Medium-sized companies make many mistakes in cost-cutting. Result: The results are below expectations. Until today in the role of a construction project manager are often engineers, which is of course absolutely okay in principal. However, their focus is very often on technical project realization. That project management, however, primarily requires strategic thinking, is often considered a luxury and neglected. Just wanted to say, your templates have been a huge help, thanks very much for all the time and effort you’ve put in. Please let me know your improvement suggestions.